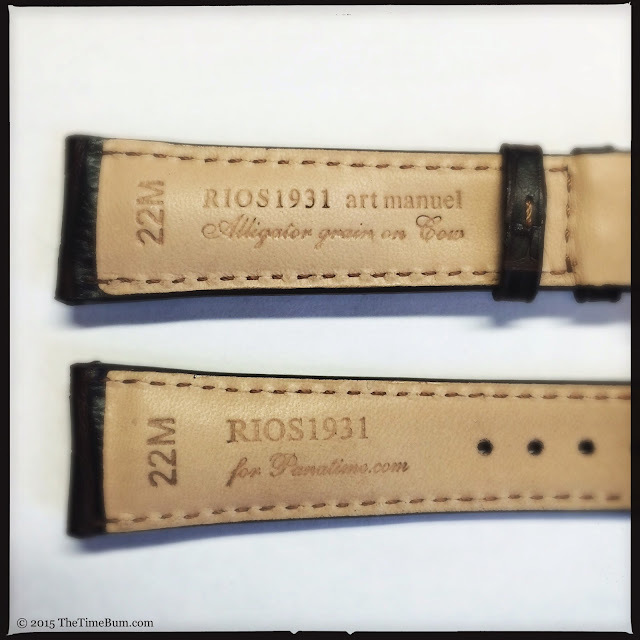 Last year, the folks at Panatime introduced a new line of watch straps made by the venerable German firm, RIOS 1931. 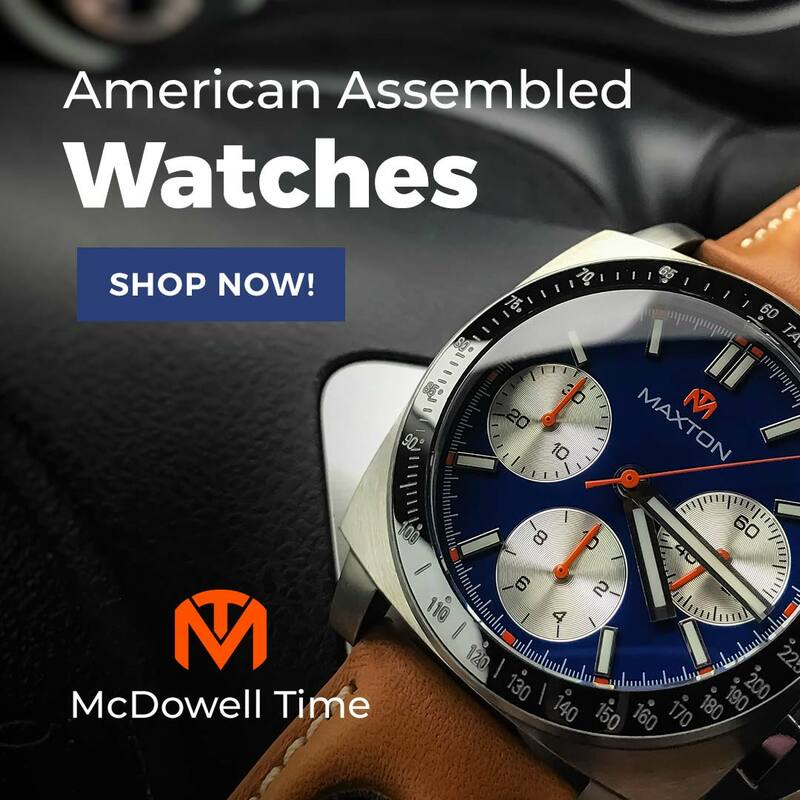 They cover a range of styles, sizes, and prices, but all share a particular form of old world, hand craftsmanship, and deliver it at an exceptional price. 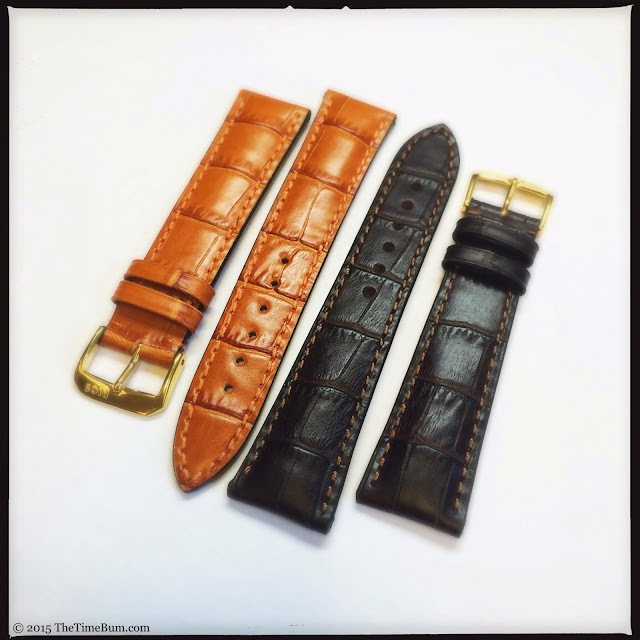 For this review, Panatime provided four straps: navy, mocha, and cognac "Louisiana"; and a cognac "Havana." I put them through their paces here at Time Bum Labs, and came away very impressed. RIOS 1931 is a family run enterprise in Augsberg, Germany. Their artisans are trained on site in the traditional rembordé, or full-bugg method, a 140-step process in which the upper leather is wrapped over a layer of cotton padding and glued under the lining leather below. All three layers are then stitched together. The next manufacturing level is what RIOS calls "art manuel," a 172-step process that adds additional layers, sanded and heat-smoothed edges, hand stitched keepers, and five coats of edge dye. Their highest quality straps also employ a saddler's seam, in which a single thread is alternately drawn through with two needles. 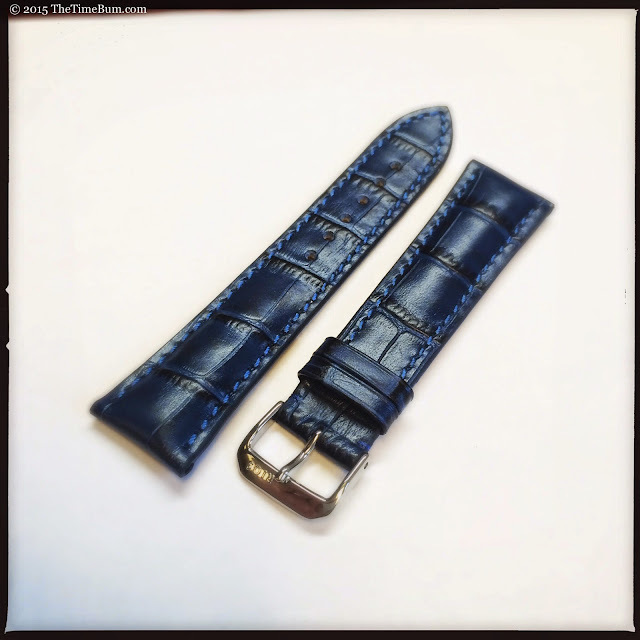 The Louisiana series is an art manuel strap made from embossed alligator grain leather with matching stitching and a matte finish that displays just a hint of sheen. Edges are smooth and seamless. The lining is soft and stamped with the width, material, and brand information. The straps are are available in even widths from 18-22mm and they taper to 16-18mm stainless steel pin buckles that are signed and drilled. My samples were the standard 114/84 length and I found them to be just a touch too long. 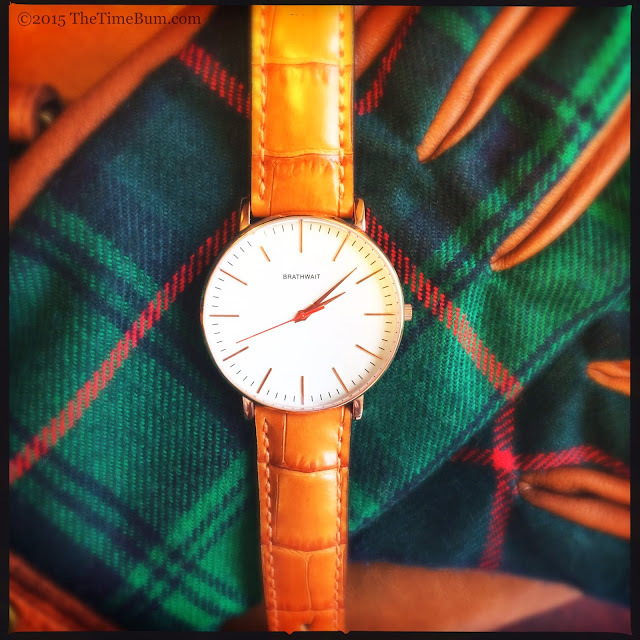 I generally wear a 115/75 and even cinched to the tightest hole, the Louisiana was a loose fit on my 6.5" wrist. For those of my size or smaller, I would definitely suggest ordering the 104/72 short version. The padding is very thick, measuring 6mm at the lugs and 3mm at the tail. 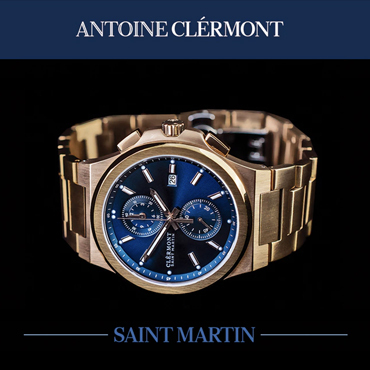 It is a luxuriant look that works beautifully on a slim dress watch, but also proved ideal for dressing up sport watches. 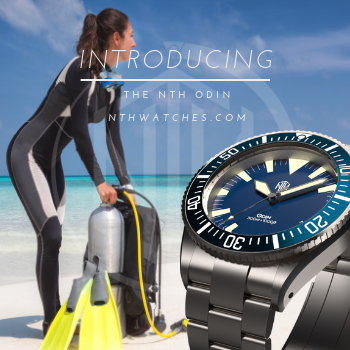 I have several automatic "dress divers" like the Armida A6 and Christopher Ward C60 Trident that cry out for something tailored, but are too beefy to carry off a thin dress strap. 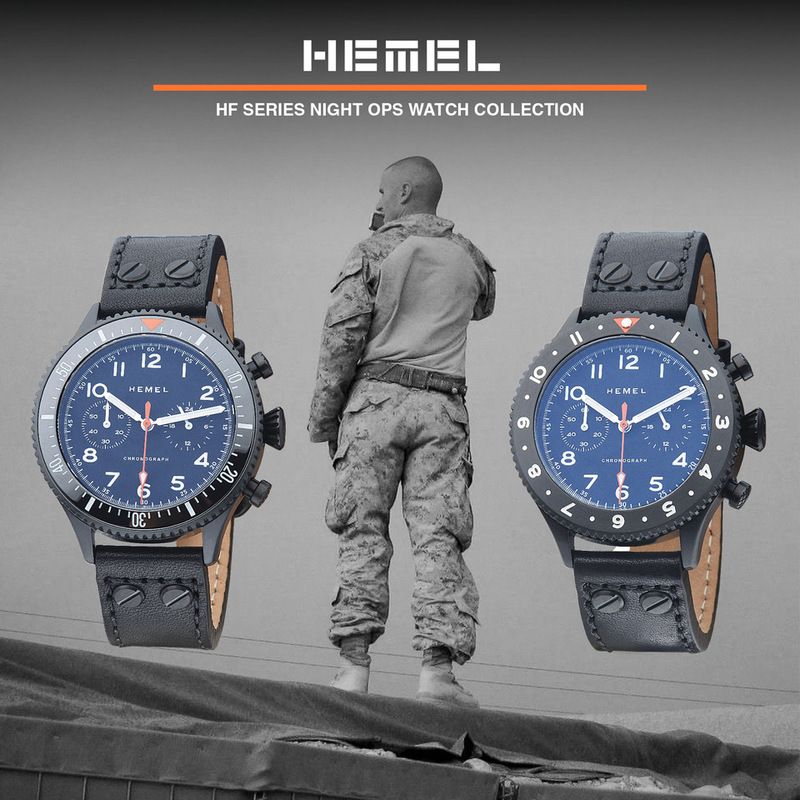 On these watches, the Louisiana's heavy padding provided a proper balance. Color is rich and deep, with appealing variation that highlights the grain. 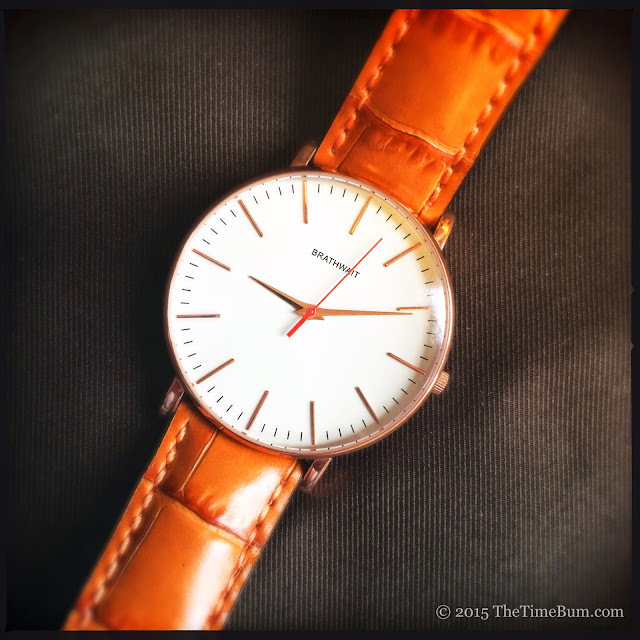 The cognac strap paired beautifully with the rose gold case of my Brathwait. 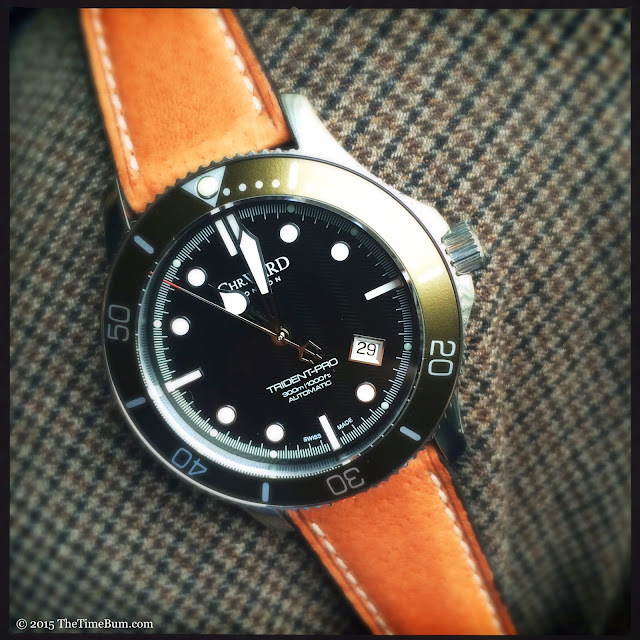 The intensely dark brown of the mocha strap was fine accompaniment for black dials, and an earthy background for the olive green bezel on the Trident. 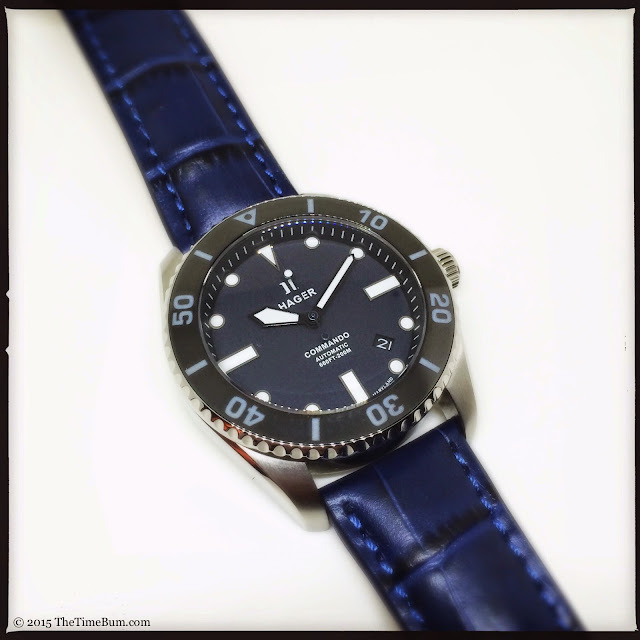 The navy absolutely rocked the midnight dial and blue lume on a Hager Commando Professional. 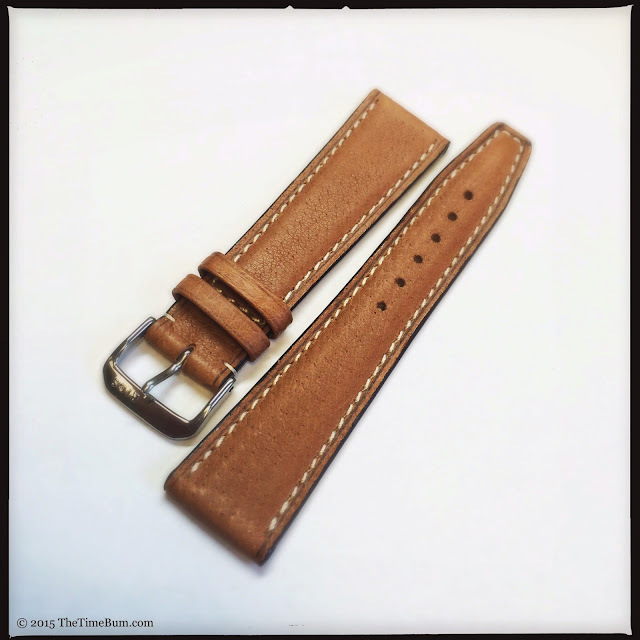 If you want this strap in a sportier style, the New Orleans model is identical save for contrasting white stitching. The Havana shares the art manuel construction, but is otherwise quite different from its more formal, gator grain cousin. It is made from pig skin, or as it says on the strap, "softpig", which is much more fun to say. 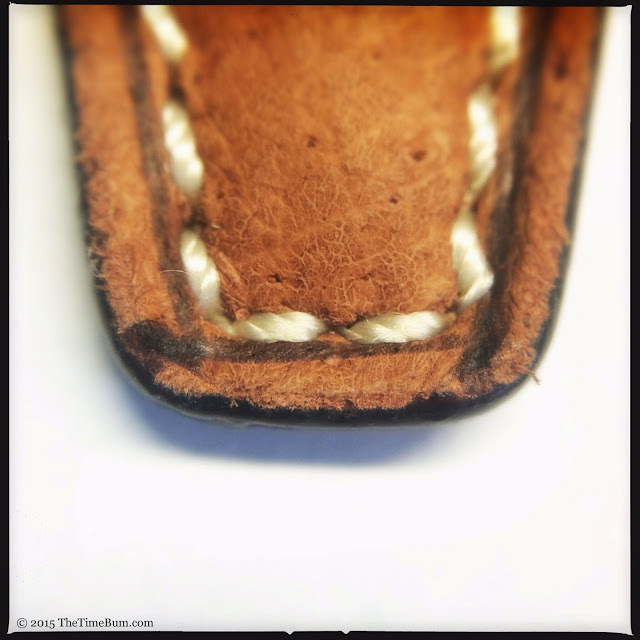 The leather does indeed have a pleasantly soft surface and a unique grain that is quite different from cow. In contrast to the Louisiana, this model is only lightly padded to about 3.5mm, and is far more casual, as evidenced by both its contrasting cream stitches, and the hand drawn guide lines around them. The cognac color on the pigskin is lighter and more muted than on the Louisiana, appearing more tan than gold. The edges are finished in black. 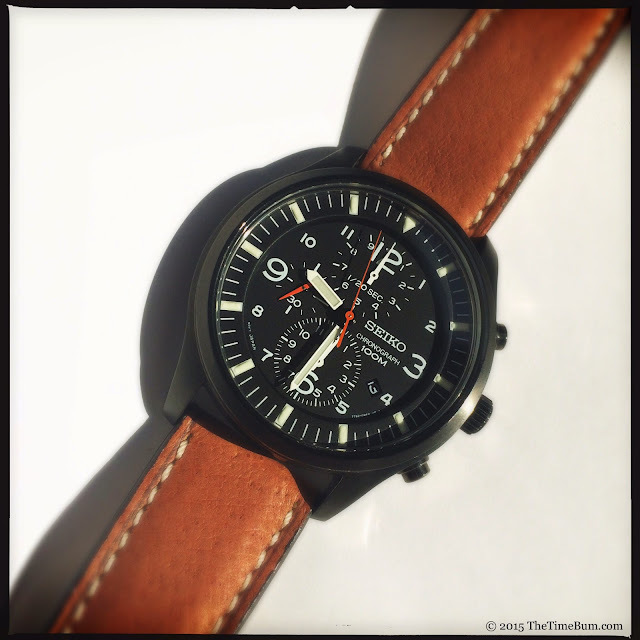 It looked good on many watches, but it was a knockout with a PVD case like this Seiko SNDA65 chronograph. 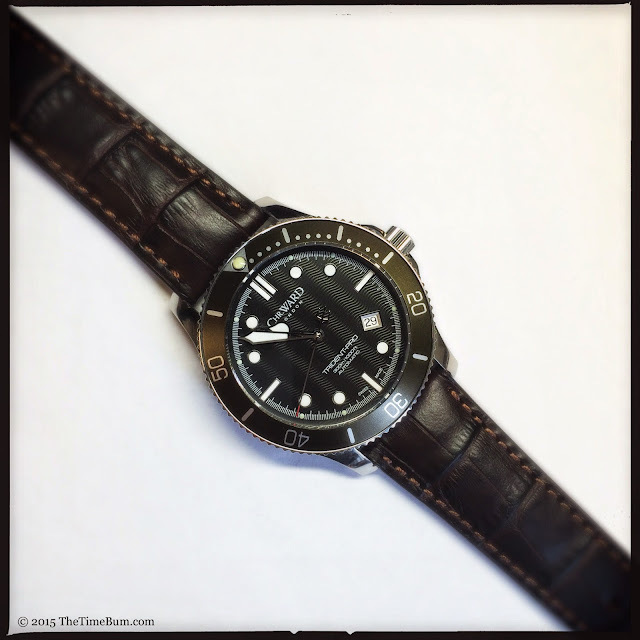 If you head over to the Panatime site, you will see RIOS 1931 replacement straps organized by watch brand, but the straps in this review are actually catalogued by size. Choose your width, then "Classic Design," "Vintage Design," or "Exotic Skins." Once you have navigated to these pages, you will find a huge selection of RIOS models, including the Havana in Vintage, and 13 colors of Louisiana and New Orleans in Classic. 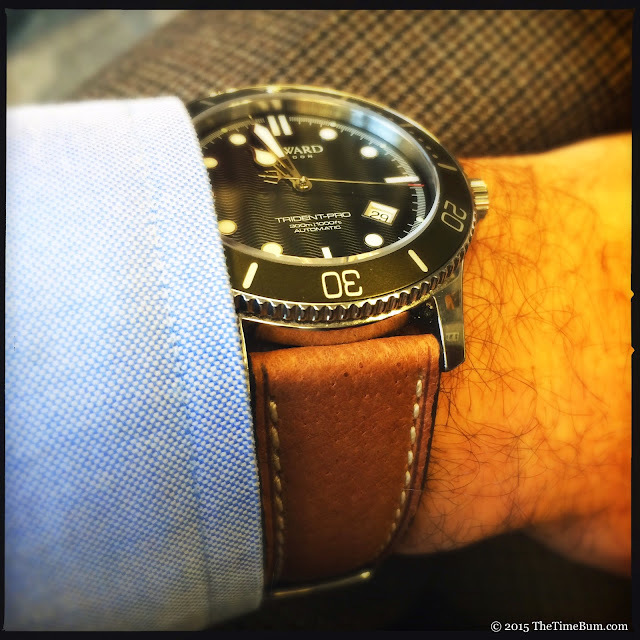 The RIOS 1931 for Panatime straps are an easy recommendation because they are meticulously constructed and look fantastic; but when you consider they cost less than $40 each, they are a no-brainer. The Louisiana is $39.99, and the Havana is $34.99. For handmade straps of this quality, that is a hell of a bargain.